HOPE Inside helps people improve credit scores, build savings, reduce debts, achieve homeownership and more. Operation HOPE founder John Hope Bryant, center, at the HOPE Inside Roebuck grand opening on Nov. 16. 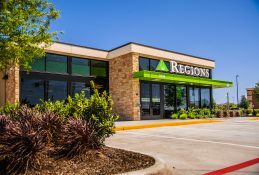 BIRMINGHAM, Ala. – Nov. 16, 2018 – Regions Bank and Operation HOPE on Friday announced the opening of two additional HOPE Inside financial empowerment offices that will provide free financial advice, guidance and education to people across the Birmingham area. 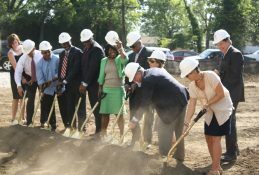 The new HOPE Inside locations are based in Regions Bank branches at 9178 Parkway East in Roebuck and 5701 Valley Road in Fairfield. 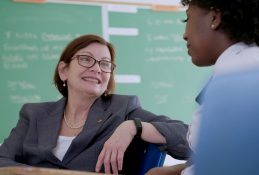 Financial counseling is available to anyone through HOPE Inside, regardless of whether the recipient is a Regions customer. 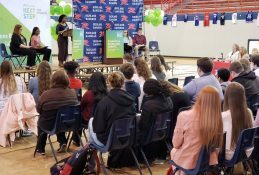 Operation HOPE, a global financial dignity nonprofit organization, created the “HOPE Inside” partnership model to share financial education literally “inside” retail locations, such as banks or grocery stores. Regions’ role is to provide financial support and workspace facilities within the company’s branch network. As a result, Operation HOPE has fewer expenses and less overhead, allowing HOPE to reach more people in more places through financial education and training. 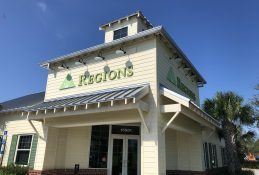 The first HOPE Inside office at a Regions branch opened in 2014, when HOPE Financial Wellbeing Coach Shante Ross began meeting with people at the bank’s Five Points South location. 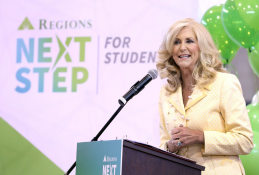 She started helping them develop their own roadmaps toward achieving financial success. Since then, she has counseled hundreds of clients and has seen firsthand the powerful difference HOPE Inside can make. Counseling appointments are now available at the Roebuck and Fairfield HOPE Inside offices. To schedule an appointment in Roebuck, contact counselor Penny Southward at 205-683-5204 or penny.southward@operationhope.org. Counselor Charmaine Chatman can be reached at 205-766-8136 or charmaine.chatman@operationhope.org to schedule an appointment in Fairfield. 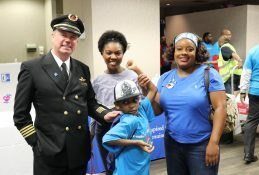 Additionally, Ross can be reached at Five Points South at 205-478-0557 or shante.ross@operationhope.org. 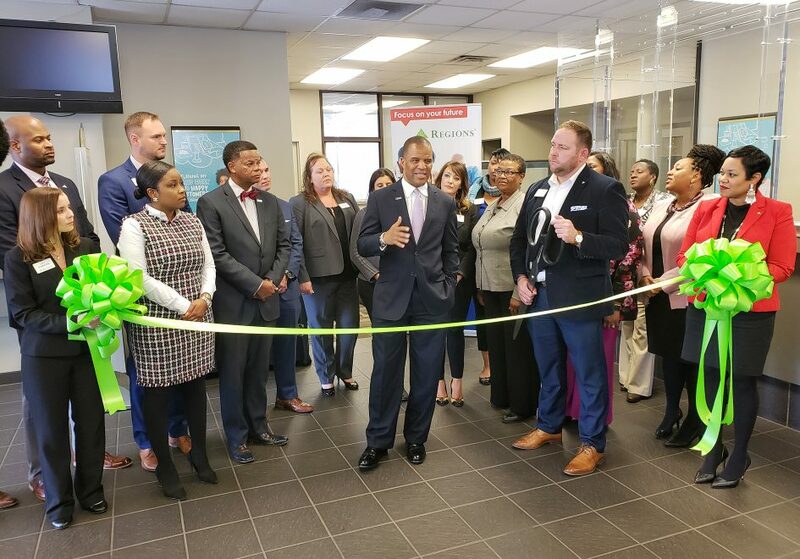 Due to the positive results of HOPE Inside at Regions branches in Birmingham, Montgomery, Selma and elsewhere, the bank is in the process of opening more HOPE Inside locations throughout the Southeast, Midwest and Texas. Regions is committed to supporting a total of 100 HOPE Inside offices by 2021. The HOPE Inside model received the 2016 Innovator of the Year recognition by American Banker magazine. Nationwide, HOPE Inside has more than 100 locations and commitments for another 600 offices in the coming years. According to Operation HOPE, each office holds consumer credit counseling certification, CFPB, FDIC, U.S. SBA, EITC, HUD, and FEMA applications and partnerships, and through HOPE Inside, Operation HOPE is the only organization certified by the Federal Financial Institutions Examination Council to operate within a bank. 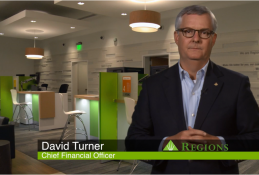 Don't miss the latest Regions news — subscribe to our weekly newsletter.